Gathering of Family Fall Bouquet in Whitesboro, NY - KOWALSKI FLOWERS INC.
Having a large gathering this holiday? 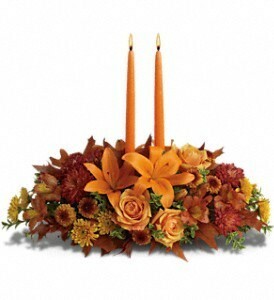 Select this lovely fall centerpiece for the table. 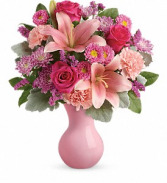 Fresh poms, carnations, lillies with tapered candles.